The theme for my holiday celebrations this year has turned out to be “better late than never”. I got started late on our cards, of course. There are still a few I haven’t written out and sent yet, but rather than take care of that last night, Mr. Karen and I decorated the cookies we’d baked on Christmas Day. 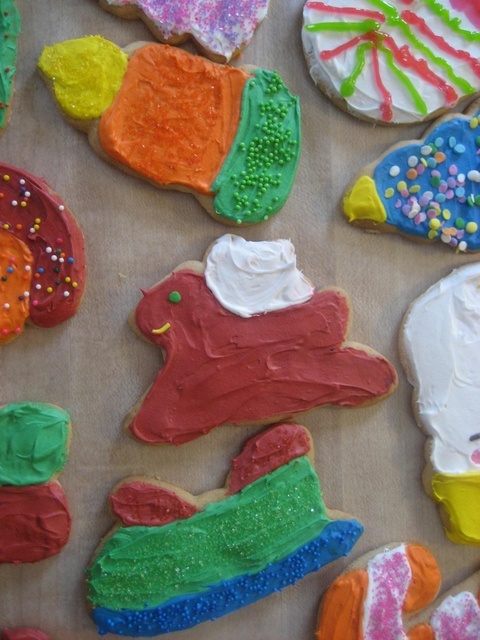 Sure, it would have been nice to have them on the actual holiday, but it was still fun to do and they still taste good. Six years ago: Is It Time to Go Home Yet?